The U.S. Open is an NSCA shoot which rotates location from year to year to allow shooters regionally an opportunity to participate. The normal rotation is East, West, and then Central U.S. If no qualified club within the respective region has submitted a bid for a particular year, the shoot may be awarded to a qualified club outside the normal rotation sequence. The criteria for clubs bidding to host the U.S. Open are defined by the U.S. Open Committee and approved by the Executive Committee. They are reviewed annually at the Advisory Council meeting held during the National Championship in October. Interested in hosting the U.S. Open at your club, or want to know how host clubs are selected? Contact Brett Moyes, NSCA Director, at 210-688-3371 ext. 250 or by email at bmoyes@nssa-nsca.com with any questions. FITASC puts its Internet site at the disposal of the organizing federation to promote the competition and inform shooters who want to enter. The document width must not exceed 592 pixels. The document must not contain any style implementations (css) or any style sheets, whether they are in the document itself or linked to a ”css” (Cascading Style Sheet) file. The distinction between the title and the subtitles must be made using tags: H1, H2,…H6 in accordance with the authors’ requirements. The paragraphs must be encapsulated between tags: <P> and </P> or <DIV> </DIV>. The texts must be enriched using only tags that are not deprecated and the fonts must not be set (FONT) inside the document. In particular, it is preferable to create bold type using. Examples of deprecated tags: BASEFONT, CENTER, FONT, S, STRIKE, AND U in conformity with W3C specifications. This information will be displayed online on the FITASC website free of charge for the organizers. The shoot-offs for the first three places in the each category will take place in a series of 25 clays. In the event of a tie, a new shoot off will be organized on a second series. The first zero, which is eliminatory, will decide between the shooters, the same number of targets being shot by each of the shoot off participants on the same station. Counting the score shot starting on Parcour 8 back to 1 ranks shooters finishing below third place with the same score. No prizes other than official cups and medals may be awarded on the podium before FITASC awards. 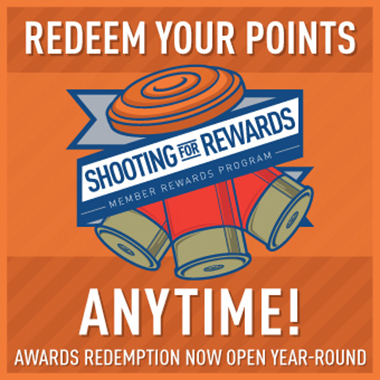 Any other prizes (NSCA awards, guns, etc.) may be offered after the award of the official FITASC prizes. A list of the results (in descending order) will be displayed after the prize awards. The results listing Scratch, Senior, Ladies, Juniors, Veterans and Super Veteran (not NSCA classes) will be sent to FITASC by email within 2 days after the championship under excel file whose format will be provided by FITASC. The results will be then displayed on the FITASC website. The club must have previous experience in hosting large, quality FITASC events. The club must have adequate room to set 8 Parcours with 3 pegs plus ample practice areas with recognized brand automatic traps to enable the competition to proceed smoothly. The traps must be reliable and in good working order. A special shooting station for testing firearms (flambé) will be available on the grounds so that shooters can fire their guns in complete safety. Test firing is not permitted on the layouts. The personnel, including trappers, must be qualified and sufficient in number to avoid any hold ups that might endanger the smooth running of the competition. A chief mechanic that is familiar with the equipment and the club must be on the grounds and ready to intervene in the event of a breakdown or outage. It is essential to arrange for sufficient replacement equipment in the event of a breakdown. Shelters of sufficient size must be provided at the entrance of each Parcour to protect the waiting shooters from the sun, wind and rain. These shelters should have seats, gun racks and water. The score and information board must be installed near the secretary’s office. Its responsibility will be to settle any disputes arising during the competition. Participant’s protest to the jury must be accompanied by a deposit of 30% of the senior entry fee rounded down to the nearest tenth, which will be returned to the complainant if the protest is accepted. When a Club applies to hold a Selection Shoot, it undertakes to assemble a sufficient number of qualified referees for the entire duration of the competition. Preferably there would be a qualified International Referee appointed as Chief Referee. A shooter taking part in the competition cannot referee except in cases of extreme circumstances and with the agreement of the competition jury. The organizers must supply the necessary equipment to the referees. All World Cup events must take place prior to the World FITASC Championship. Date and location of the 2019 World FITASC are TBA.